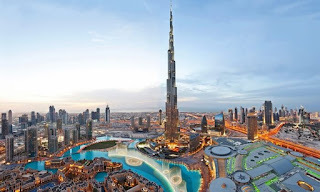 Dubai Tour Packages - Book Dubai Tour Packages with Tick Tick Holidays. International Holiday packages for Dubai Tour is making your Dubai vacation unforgettable. Join one of our All Inclusive Packages tours. Dubai is a world-class shopping destination. You can visit Dubai with Family or friends and enjoy your life. With Tick Tick Holidays, you'll not only see Dubai you'll experience it! The Desert Dune Safari, The Dhow Dinner Cruise, Snow World and the Dubai Fountain Show are some of the highlights of our Dubai Tour Packages. The Ferrari Park and Dubai Shopping Festival are entertaining elements In your Dubai Tours. Enjoy Dubai Tour with Tick Tick Holidays. In This Dubai Tour Packages From Kerala arriving in Dubai, drive to the hotel. Relax for the day. Evening proceed for Dhow Cruise. Enjoy the panoramic views of the spectacular Dubai skyline. This is a perfect chance to see the towering skyscrapers that make Dubai unique. Enjoy on-board live Arabic entertainment- the Tanoura dance show. Relish the buffet dinner that includes soft drinks, tea, coffee and mineral water. Return to hotel for overnight stay. In This Dubai Tour packages, 2nd-day may will be Half-day city tour and an evening desert safari Enjoy breakfast at the hotel. Proceed for city tour. Visit; Dubai Museum Dubai Creek Deira Spice Souk and Gold Souk. 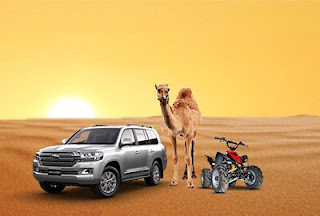 By 3:30 PM, start your evening riding a luxurious 4X4 vehicle to the desert to witness a glorious sunset Later, relax upon arriving at a traditional Bedouin Campsite and enjoy more activities- sit atop a camel, smoke an aromatic shisha (or hookah) and sit back for some traditional henna painting. At the end of the day, relish a delicious 3-course Arabian feast accompanied by authentic belly dance performances. Soak up the tunes of local folk music under the moonlit sky to complete your Arabian night. Return to hotel for overnight stay. In This Dubai Tour packages, 3rd day may will be Spend the day on your own Enjoy breakfast at hotel. Visit Burj Khalifa including transfers You can also choose to visit the Aqua Venture Water Park or the Lost Chambers Aquarium. Return to hotel for overnight stay. In This Dubai Tour packages, 4th day will be Check-out from the hotel post breakfast. You may leave the bags at the concierge if you wish to step out to see more of Dubai until it's time for your flight back home. 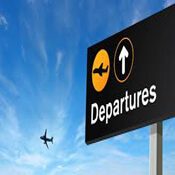 Board your private vehicle for transfer to the airport.